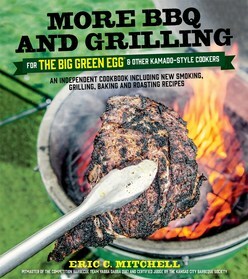 Equal parts grill, oven and smoker, the success of the bestselling Big Green Egg should come as no surprise- and who better to highlight the versatile cooker than Eric Mitchell? 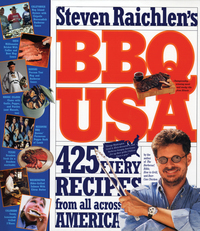 Eric competed in some of the most prestigious BBQ competitions, including the Jack Daniel's World Champion Invitational and American Royal World Series of Barbecue, where he used the Big Green Egg to win a perfect score on his crème brûlée. Eric is back with more recipes and techniques for use on kamado-style cookers. 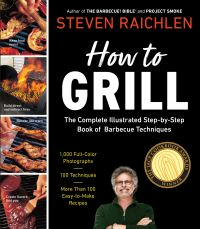 After introducing readers to the Big Green Egg and the various techniques of using this cooker, Eric expands on the recipes from Smoke It Like A Pro to give readers a more expansive taste of what the cooker is capable of. Ceramic kamado-style charcoal grills like the Big Green Egg have a unique sealed design with a built in thermometer and a daisy wheel damper unit to control air flow, making it easy to regulate temperatures and cook more consistently than with other charcoal or gas grills. The Big Green Egg can cook a huge variety of foods, even baked goods like bread, pizza and pies. Recipes include Slow-Fired Pork Carnitas, Puerto Rican Marinated Pork Roast, Chinese BBQ Pork, Tequila Pork Chops, Roasted Rack of Lamb with Whiskey Sauce, Moroccan Roasted Leg of Lamb, Tandori Chicken and Miso Glazed Salmon. 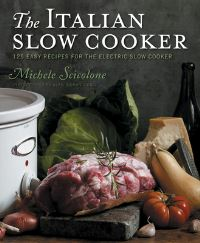 These recipes and many others will help those who enjoyed Smoke It Like A Pro learn new recipes and expand their repertoire. 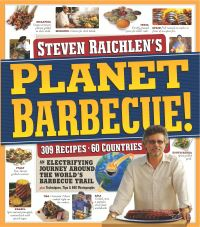 More epic recipes for the popular Big Green Egg from award-winning barbecue master, Eric Mitchell.